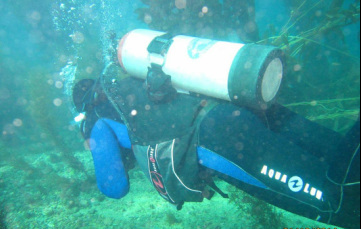 The purpose of the Self-reliant Diver speciality course is to recognize and accept the role of the buddy system and its contribution to diver safety while identifying and developing self-reliance and independence while diving. The PADI Self Reliant Diver Course has been developed to focus on the need for divers to be more self sufficient for those occasions when a buddy may not be around. It is not a course for everyone and certainly not one to be taken lightly so the pre-requisites have been set accordingly. It is intended for experienced divers who wish to develop their skills generally - perhaps in preparation for further advanced training.